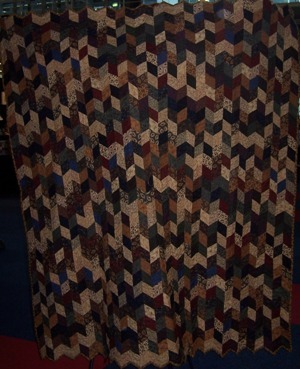 Quilt has been made with 2 precut jelly rolls 2 1/2 inch. There is one fabric from every fabric form the ranged. Bound to the Parire has been used. Size 210cm by 170cm.